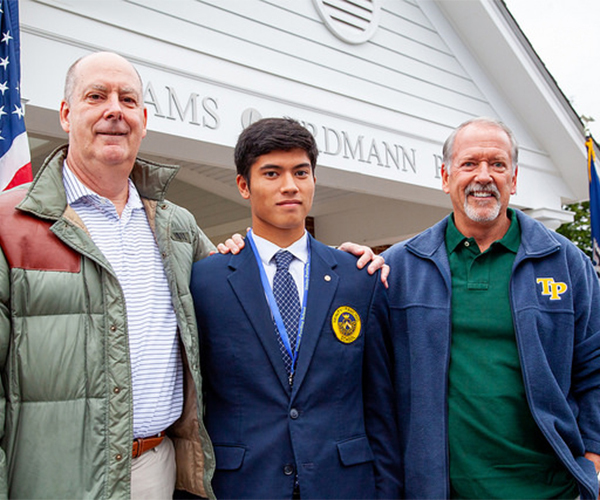 During a recent Preview Day presentation, Headmaster Bill Taylor encouraged visiting families to take a “deep” look at the schools they would be visiting. “One should look for the “soul” of a school,” said Taylor. He explained that many schools have outstanding facilities and ambitious curriculums and are situated in beautiful environments, but the “soul” of a school is what cannot be seen on the surface. “The soul of a school is revealed in its community — it is what allows students and faculty to develop their self-awareness, it is a community that encourages stepping out of one’s comfort zone to build self-reliance, it is a community that is supportive and caring — one that builds meaningful relationships with one another,” said Taylor. These are the qualities of a school, which determines its depth as an institution. 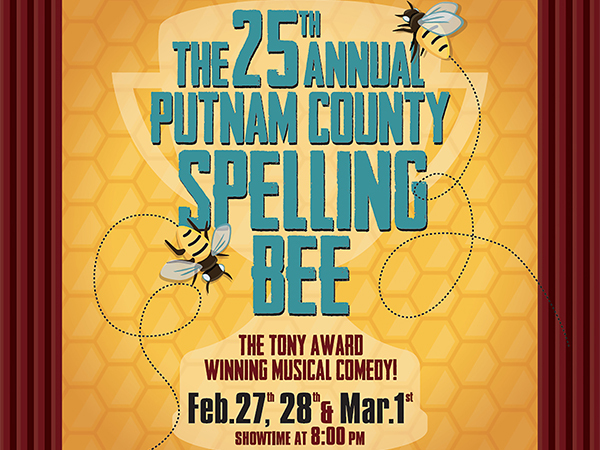 The 25th Annual Putnam County Spelling Bee perfectly captures the angst, exhilaration, and heartache that makes growing up so painful and so wonderful. February 27, 28, and March 1, at 8:00 PM! “I wouldn’t be half the person I am today without T-P. I was bumping along in my previous school, one of thousands. T-P provided opportunities to grow up.” Roux admits that having no girls eliminated an anxiety at that age and allowed him and his peers to grow up among brothers. And brothers help brothers. For the past three years, Roux and several of his classmates have funded a current Trinity-Pawling student. The student’s father was a classmate of theirs who died prematurely, and the group of friends wanted to give this young man the same opportunity that they had all experienced. Roux is a partner with Alston & Bird, an international firm with more than 800 lawyers. He specializes in construction and government contracts law. Roux serves on the firm’s ten-person management team, essentially the board of directors, and he splits his time between Los Angeles, CA and McLean, VA. He and his wife, Barbara, have a 30-year old son, Michael, who lives in Hyannis, MA. Squeezing every opportunity out of every opportunity. This describes Daryl Rubinstein ’94 to a tee! 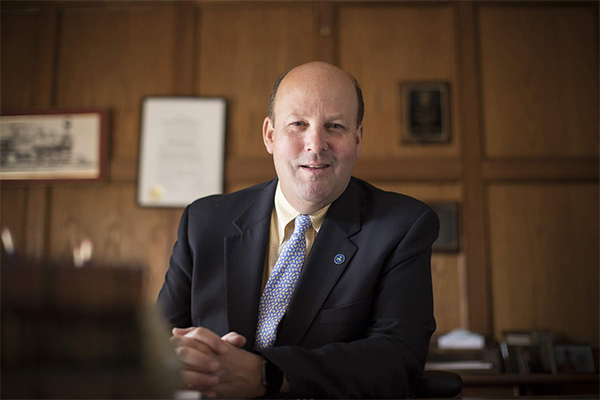 From his days at Trinity-Pawling, to each of his work endeavors, he takes full advantage of the experiences presented to him in order to learn, grow, and succeed. Currently the Executive Vice President at Consolidated Bearings Company in Cedar Knolls, NJ, Rubinstein spends his days as the company’s primary marketing and sales contact, a role that takes him all over the world. Recent business travels have included trips to Romania, Poland, Korea, and India, just to name a few. “Consolidated Bearings is an awesome company with great brand equity. We are a wholesaler of bearings and have nine locations in the United States. In my current function, I visit global suppliers and am constantly working to expand the business,” reports Rubinstein. The bearings industry is not at all new to him. His family owns Berliss Bearing Company, an industry-leading bearing manufacturer with over 75 years of experience. He brings a wealth of background knowledge and contacts to the table! His career trajectory hasn’t been solely in the bearings arena, however, for three years, Rubinstein spent a little time in a completely different industry — the car business. He worked for Flemington Car & Truck Country as the Director of Business Development. “I developed a true appreciation for how hard work can lead to success at Flemington. It was a high-stakes retail environment with a true grind at month’s end. Making deals, negotiations, and solidifying relationships were part of the daily workload, and the skill set I gained from that experience has served me ever since,” Rubinstein comments. He has fond memories of his times here as well. “I’ll never forget chatting with Ned Reade as we listened to NPR trying to stay awake on our way home from Squash matches over those 4 years. Ned and Maria are the best! !” Rubinstein effuses. Rock on rebel (now ‘with a cause’) Rubinstein — much success to you as you keep moving up that career ladder! Trinity-Pawling community, you have 4 DAYS LEFT to meet the CHALLENGE! We are in a race toward 1,000 donors — once we reach that golden number, Henry B. duPont IV ’86 through the Nor’easter Foundation has promised a match of $50,000. 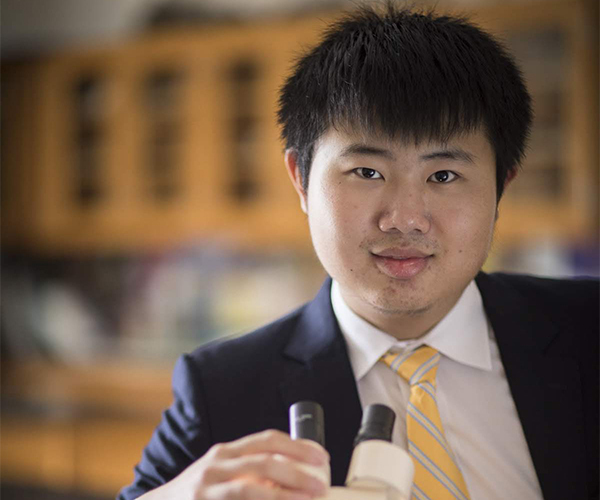 In January, Trinity-Pawling senior Ziqing “Tim” Wang was named a Top 300 Scholar in the 78th Regeneron Science Talent Search — the nation’s oldest and most prestigious science and mathematics competition for high school seniors! Wang was selected from over 1,800 applicants from 555 high schools across the United States. He and his fellow scholars were selected based on their exceptional research skills, commitment to academics, innovative thinking, and promise as scientists. Wang’s conclusions point to safer, more efficient, and eco-friendly processes for treating water. He plans to continue his research in the coming months, particularly focused on the various real-world applications of his findings. Trinity-Pawling faculty, staff, and students applaud Wang for his outstanding work and celebrate his selection in the Regeneron Science Talent Search. “This is a tremendous honor for Tim,” concluded science teacher Mike Webber. “He has put so much work into his research and we are all extremely proud of him.” Congratulations, Tim! 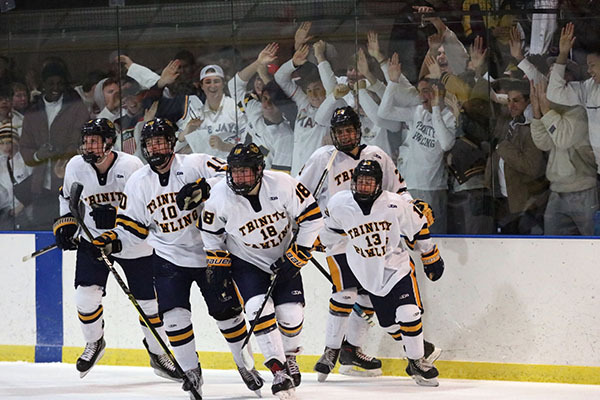 Varsity hockey players may be loath to admit that a faculty member is the best defender at Trinity-Pawling School. 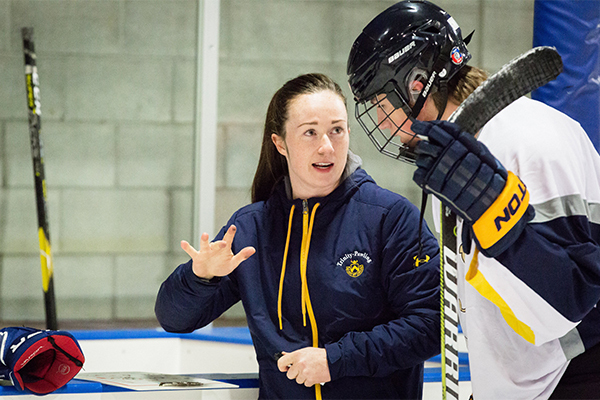 Shannon Doyle, who teaches middle school and 9th grade English, balances a busy Trinity-Pawling life with her professional hockey career as a Connecticut Whale. Mrs. Doyle has played for the Whale since the team’s inception when the National Women’s Hockey League was founded in 2015, and NWHL Zone has called her “one of the steadiest defenders in the NWHL” during this time. Prior to her professional career, Doyle was a leader on a successful Boston University Terriers team that celebrated multiple Hockey East Championships and a trip to the NCAA National Championship in 2015. On February 10th, Doyle represented ‘The Pod’ for Team Szabados at Bridgestone Arena in Nashville, Tennessee in the 2019 NWHL All-Star game. In the contest, Doyle tallied a highlight no-look assist, which the Trinity-Pawling community watched and celebrated during Monday’s morning meeting. Earlier this winter, a group of students traveled to Stamford, CT to cheer on Doyle and the Whale. Mrs. Doyle is a tremendous example of the great effort and dedication it takes to balance academics and athletics, as it is not unusual for her to attend evening practices during the week in preparation for Saturday and Sunday games. When Doyle isn’t geared up for her own play, the rising talent on Trinity-Pawling’s JV Hockey team enjoys sage coaching from this highly experienced player. From Pride to Pod, we have a star in our midst. Go Whale! Passion-based learning is central to Senior Independent Projects (SIP) at Trinity-Pawling. From start to finish, the SIP process encourages students to be curious, ambitious, and creative as they pursue a personal interest or passion. Matt Dow ’19 and Connor McKay ’19 did just that. For their SIPs this year, Dow and McKay worked together to organize and host a Spike Ball tournament to benefit Matthew’s Hearts of Hope (MHOH). 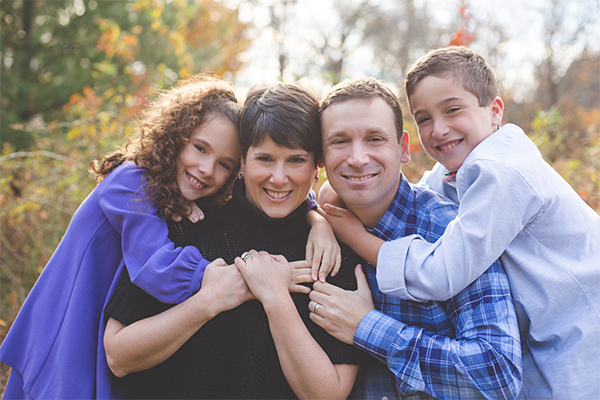 Founded by Marie Hatcher, Matthew’s mom, the mission of MHOH is to raise awareness of the number one birth defect in children: congenital heart defects (CHD). The logistics of organizing the tournament presented a few challenges to the duo along the way, but with determination and some faculty guidance, they found success. The Spike Ball tournament was held on Friday, January 25th in the Smith Field House. “It ended up being a 20-team tournament with 2 players on each team,” shared McKay. “It was a great turnout.” With team registration fees and donations throughout the event, Dow and McKay raised over $250 for Matthew’s Hearts of Hope. Even better – they played Spike Ball alongside Matthew Hatcher himself. The varsity hockey team has won five of its last eight games, including wins over Berkshire, Taft, and Choate. Joey Musa ’19 and Stephen Willey ’19 have provided much of the offense, Phip Waugh ’19 has played well on the back line, and Evan Ruschil ’19 has been terrific in the goal. JV hockey continues their wonderful season winning seven of their ten games. CK Giancola ’20 has been the spark on offense while goaltending from Jack Sawyer ’20 and Jacob Provost ’22 has been outstanding. 3rd hockey has recorded wins against Forman, Berkshire, and Kent. Toby Berner ’21 has provided a great deal of offense for the team. David Poulos ’20 has been excellent on defense and Joey Doyle ’20 has played incredibly well in net for the Pride. The wrestling team hosted the Western New England Tournament for the first time in the School’s history. Zack Conlan ’20 finished first in his weight class. Kyle Lee ’22, Jake Conlan ’19, and Liam Dietrich ’21 finished second in theirs. The team finished second overall in the tournament. JV and 3rd squash both defeated Berkshire in their most recent matches. Aidan Morgan ’21, Tommy Li ’21, Chris Devanny ’21, and Kevin Li ’21 won for the JV team. Jackson McAvoy ’21, Peter Claro ’21, CJ Mezzatesta ’20, Matt Bologna ’21, Mason Hughes ’22, and Nate Walker ’22 were winners for the 3rds squad. Third basketball is near the end of their season and currently have an 8-2 record. Varsity basketball is .500 over their last six games with an impressive win over Choate. Truth Harris ’20, Mike Koch ’19, and Bryce Nash ’19 have played very well during that stretch. Tune in to watch Pride Athletics live! 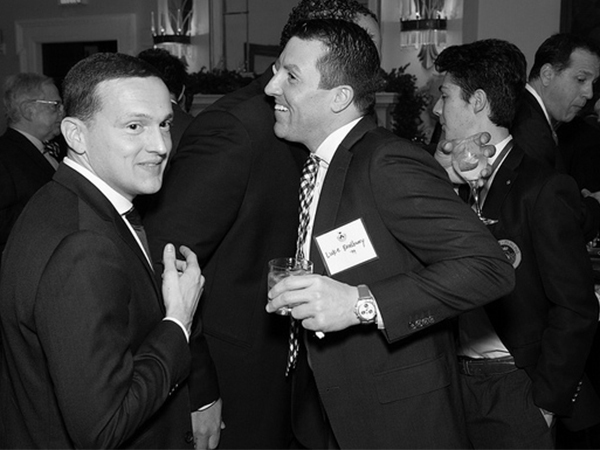 Joe McElligott ’02 is hosting a Trinity-Pawling Alumni Happy Hour! 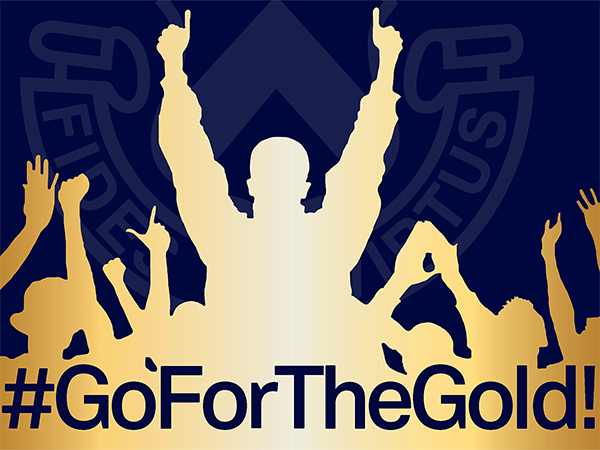 Join us for Alumni Happy Hour and celebrate the closing of our Go for the Gold Challenge! 1st drink on us! You are cordially invited to join Headmaster Bill Taylor, Jennifer Taylor, and hosts Andrea and Paul Miller ’63, P’92 for a reception celebrating Trinity-Pawling School. 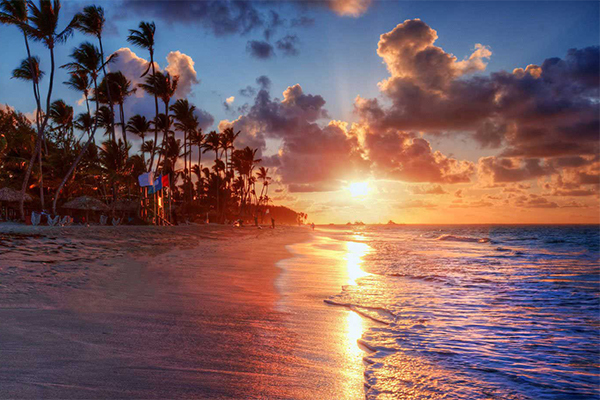 Join us on March 19, 2019 at the Seagate Beach Club, 401 South Ocean Boulevard, Delray Beach, FL from 5:30 – 7:30 PM. Attend the evening reception — or make a day of it! Paul has graciously invited all golfers for lunch and 18 holes at the Seagate Country Club, before the reception. Lunch begins at 11:30 AM, followed by a 12:30 PM tee time.